In other good news from our farmland enterprise, our goat farm project is currently raising $3,000 per year. Our 20 goats are valuable assets as they are raised for stockbreeding and provide nutritious milk for the children. 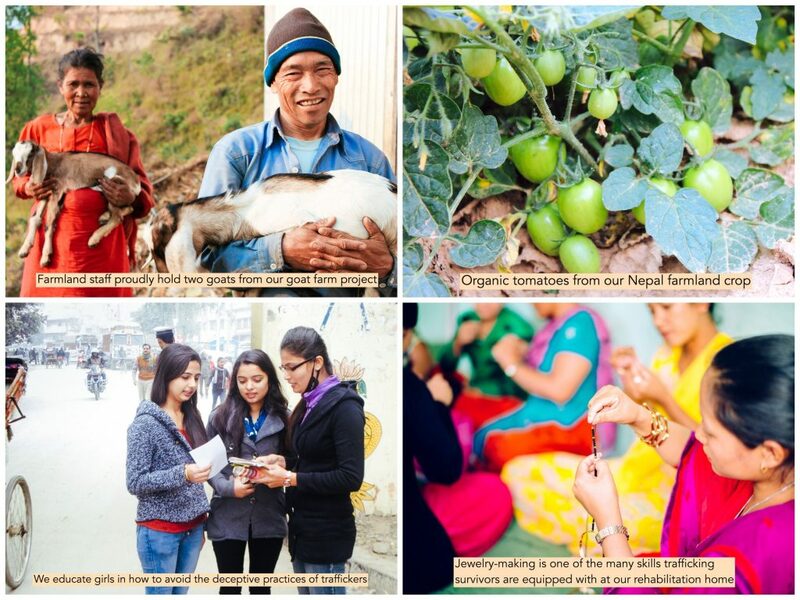 Surplus from the farmland is sold at market to generate much-needed funding for our programs. 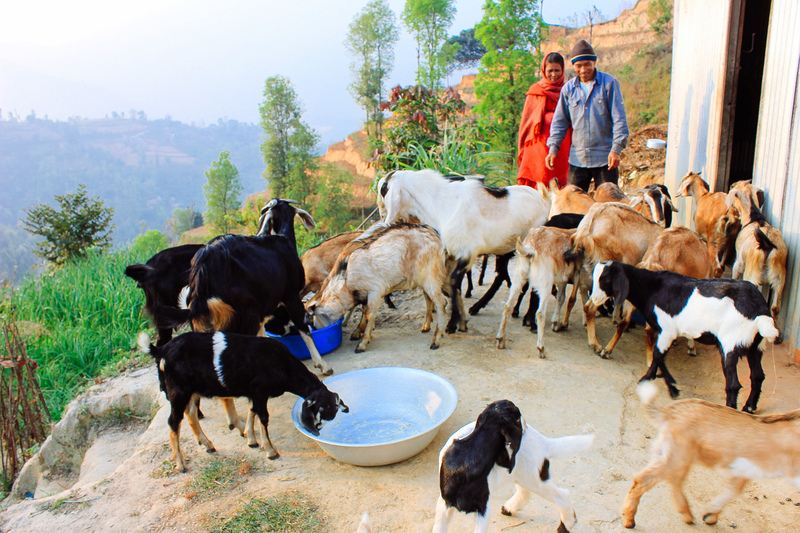 With your support, we hope to expand our dairy goat project in the future, to further our work of growing toward sustainability in Nepal. We’re also rejoicing that 3 women (ages 20, 22, and 25) were recently rescued from the Nepal-India border by our native border staff. Two of the women are married, but their husbands work in Malaysia right now. The women were tricked into traveling to India with a stranger who lured them with false offers of reputable work. Thanks to our vigilant “border patrol” staff spotting the suspicious activity at the border crossing, police were alerted and the women are now back at their homes, safe and sound. Our border patrol team is comprised of two female staff who are stationed at our government-approved kiosk where they distribute literature and counsel young women on the dangers of trafficking. From this post they also can spot suspicious activity at the crossing and report it to the nearby border police. For other women and girls, it’s not so fortunate. An estimated 12,000 Nepalese women, mostly teenagers or younger, are being trafficked across the Nepal-India border each year, where the majority end up in brothels as prostitutes against their will. Others end up in different kinds of slavery where they’re trafficked to other countries and usually end up abused and neglected as domestic slaves. In response to these tragedies, we organize frequent trafficking awareness counseling classes for girls ages 14-17 in the heavily-trafficked areas, and for women of all ages in other areas. We look forward to reporting back about the harvests from our farmland enterprise, and the continued courageous work of our native team in rescuing women and girls from the perils of human trafficking.